This past Saturday night I painted during the 944 x LEXUS event in Atlanta. It was the release of their ART ISSUE and was a solid night, Brent Bolthouse + Samantha Ronson came out from the West Coast to DJ for it. 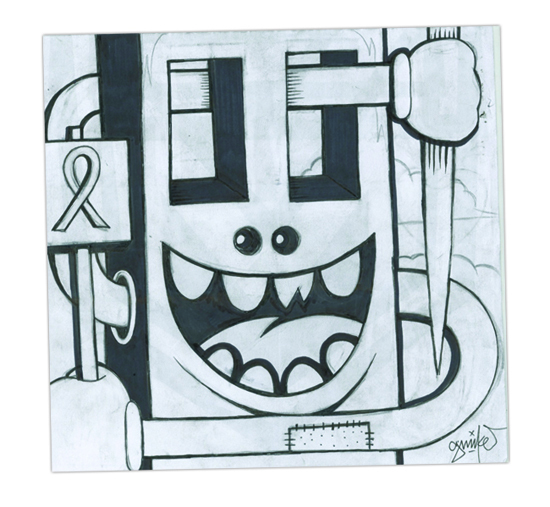 This piece will be auctioned off and the $ will be donated to charity to help the against fight breast cancer. Here's a quick cell phone shot of piece. Wish I had more time to add more to it but only had from 10PM-2AM to crank it out.. Thanks to the ABV team for lending a hand and 944 Magazine for having me involved.